With a private jet you travel fast, efficient and relaxed. This has a tremendously positive effect on your working life. By increased productivity you have more free time that can be used to improve the work-life balance. Traveling in private jets increases productivity in a variety of ways. On the one hand you save time by working on board and on the other hand you might use the higher privacy to relax. In waiting areas and at terminals it’s often noisy and busy. Even in business lounges at the airport it’s impossible to focus on work – because of the presence of other travelers it might be difficult to deal with company documents. This looks quite different when traveling with a private jet. You have almost no waiting time at the terminal and can enter the aircraft within minutes. This means that you don’t lose time at the airport and instead can use it to work longer in the office. When in the aircraft you can continue working, either to prepare upcoming meetings with colleagues or to finish some tasks. As described above, with a private jet you travel faster and more efficient than with regular flights. Thus, you can either spend more time to finish work or by having more time for family and friends. In addition, the privacy in a private jet is way higher. There are no foreign passengers on board and you don’t have to sit next to passengers who disturb you. So you relax during the flight and arrive well rested at the destination. Traveling with private jets offers yet an additional advantage: the schedules are based on your timetable. If your meeting takes longer than planned you neither have to leave before it’s finished to reach your flight back on time nor have to worry about an alternative flight (which causes additional costs due to possible overnight stays or the booking of a new flight). Your private jet will take off when you are ready. Also when having multiple meetings in different places, it’s that easy. Instead of having to adjust your timetable to airline schedules you book the private jet just as you need it. At the same time, private jets use smaller airports than the significantly larger scheduled aircraft. This means there are significantly more airports to choose from and the destination airport is usually closer to the actual destination. So you also save time when traveling onward by limousine, train or helicopter. Traveling with a private jet saves time, improves productivity and helps to improve your work-life balance. This positively influences your working and private life. 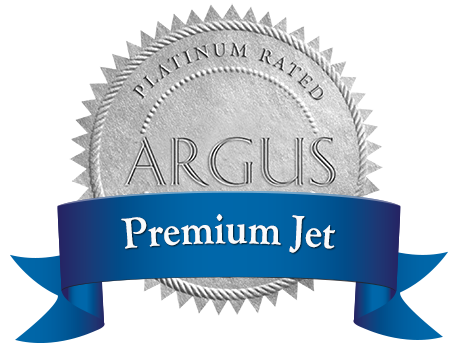 If you would like to learn more about the advantages of private jets for your company, please contact us.